Lone Spur Grill and Bar: Happy Hour? You Betcha! Appearance: (6) a little burnt, a few too many jalapenos, and salsa in plastic cups, but a nice selection of multicolor chips and cheese. Distribution of toppings: (7) Nacho Patrol really doesn’t understand the “beans at the bottom” trend. Why should one have to dig to reach the creamy refried center, dragging it out kicking and screaming? We did appreciate the full coverage chicken and cheese. Quality of toppings: (6) perhaps it was our fault for getting chicken, but these nachos were on the dry side. Even the beans didn’t add much moisture. Something about the flavor was slightly off too, a strange pepperiness emanating from the chicken and beans. 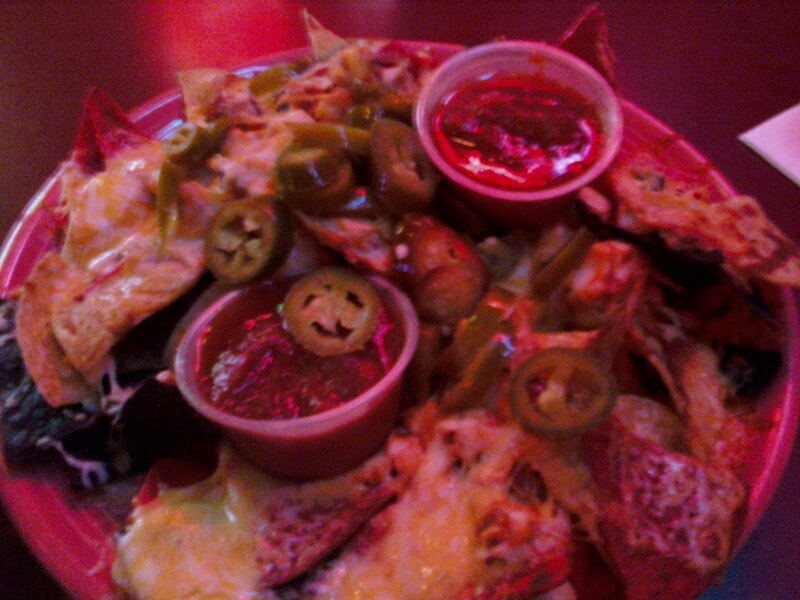 Price: (10) $4 for happy hour nachos. What the hell is that? These nachos weren’t that good. If they cost $10, they’d probably get a score somewhere in the low 20’s. Isn’t it strange how cheap things just seem to taste better?